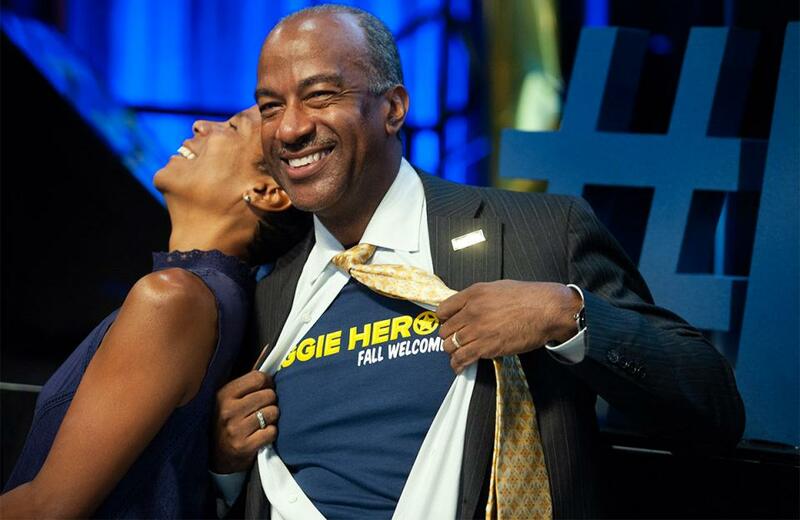 Chancellor May invites the UC Davis community to become Aggie Heroes at the 2018 Fall Welcome. This leader advocates for student mental health and volunteers at a Sacramento clinic for homeless people. This graduate and staff member is helping UC Davis improve care for LGBTQIA patients and the culture of our campuses. Driven by his own experiences, this Aggie helps fellow students meet their basic needs and find resources to thrive. The student group HOME has a special mission: to help students de-stress, create family among them and serve others. This hero to people and animals at UC Davis VetMed went above and beyond the call of duty during the Camp Fire. This Aggie has supported the mental health of her peers by organizing protests and events as well as faithfully serving on committees. A music major inspires thousands when he rises from his wheelchair and walks across the graduation stage.